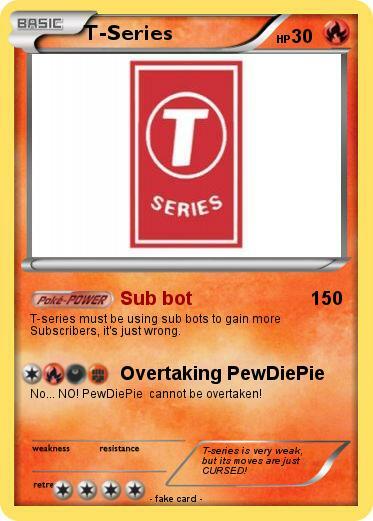 T-series must be using sub bots to gain more Subscribers, it's just wrong. No... NO! PewDiePie cannot be overtaken! Comments : T-series is very weak, but its moves are just CURSED!